Daniel Ricciardo rates contesting the Supercheap Auto Bathurst 1000 after his Formula 1 career "a good 50-50 at the moment". The West Aussie has raced in F1 since mid-2011, with HRT, Toro Rosso and Red Bull before joining Renault this year. On the eve of last weekend's Australian Grand Prix, he sampled a Supercar for the first time, Rick Kelly's Castrol Nissan at Calder Park. Ricciardo classed the experience as "pretty cool", and admitted he was intimidated about the run having grown up watching the class at Barbagallo Raceway. A seven-time grand prix winner, 29-year-old Ricciardo has plenty of seasons in F1 ahead of him, and says racing at Bathurst beyond that is not off the cards. "I got asked not long ago 'after F1 would you want to do some races, do something else like V8s or NASCAR or Le Mans? '," Ricciardo said. "When I first got into F1 a few years ago, I was like 'yeah, that'd be awesome, I'd love to'. "But the more years I do this, it kind of wears you out. And I thought 'once I'm done [in F1], I think I'll be done [with driving]'. 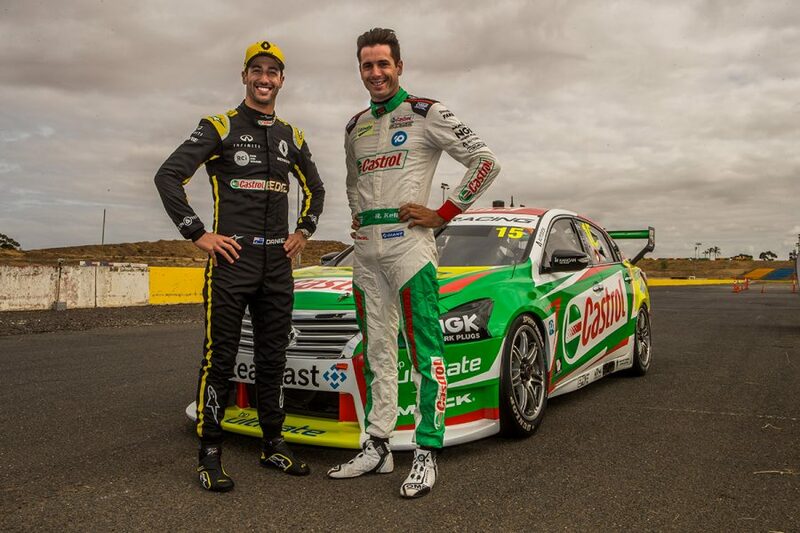 "I'm probably kidding myself, because driving that, [Bathurst] would be pretty cool. I'll never say never. "I'd give it a good 50-50 at the moment." Supercars' trip to Mount Panorama routinely clashes with the Japanese Grand Prix, and instances of drivers branching out during their F1 careers are rare. Fernando Alonso is an exception, having contested the Indy 500 and won the Le Mans 24 Hour during his McLaren stint that concluded last season. Bathurst is on Alonso's list of big races he would like to contest, according to McLaren F1 director and Walkinshaw Andretti United co-owner Zak Brown. There is little in common between an F1 car and a Supercar, but Kelly said Ricciardo's class aboard was obvious from his Altima's passenger seat. "I wouldn't say I got up to speed, but it took me a few laps to figure it out," Ricciardo added. "When you've got so much aero [in an F1 car] you can brake right into the corner and then pick up the throttle early. "There's not much rolling time. But [with a Supercar], there's a lot more rolling time. "It's more in steps; you brake, ease off, roll, pick up the throttle. It's more delicate, in a way. "Just picking some apexes with all of the rollcage and all that, I couldn't see much. "I could see more out the front compared to an F1 car, but out the side it was trickier."